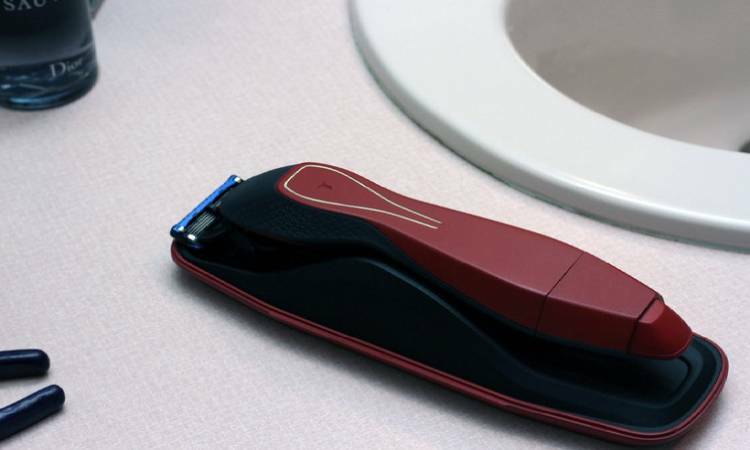 Trazor is the perfect shaving solution kit in one convenient device for travel and home grooming for both. It renders an ultimate shaving experience that is luxurious and convenient, and yet affordable. Trazor flawless razor is the harmonious trazor kit with over 40 blades, it has in-built features with a soft contoured handle and is travel-friendly to give you an enjoyable and smooth shaving sense whether you are at home, on-the-go or traveling. Trazor comes in two remarkable models the Trazor GEL and the Trazor TRIM! Trazors come with it’s his signature five-edge stainless steel razor blade for a uniform and comfortable shave. In addition, all Trazor’s accept more than 25 of the most famous men and women razor blades giving you the ultimate freedom to choose a blade that suits your needs and lifestyle. Highlights a facial hair trimmer that can groom hair even in the most difficult spots like the nose, ears, and eyebrows. Features an integrated pump that manages dual purpose shaving-and-after shave gel for smooth shaving anytime, anywhere – be it in a gym, your living room, or in the hotel. The gel is free from the toxic paraben, alcohol and synthetic fragrance. Foam free and mess free. It is very transparent, so you can see each pass of the razor, thereby reducing repeated strokes and preventing razor burns. The unisex Trazor has a lasting and contoured ergonomic handle that makes it easy to use and minimizes slips and cuts. The power grip will exercise your shaving experience to the next level. WHAT WORKS FOR HER, WORKS FOR HIM. Trazor allows blades meant for all and its ergonomic form ensures a flawless shave for both women and men. Trazor can be used everywhere, anytime as all that you want to shave, comes with it in a compact, travel-friendly packaging involves an extra gel tube and blades to ensure zero clutter. Available in select color mixtures, Trazor is designed to match your unparalleled style.